This issue brief describes how increasing access to high-quality and affordable childcare benefits families, communities, and the economy. Find other equity briefs here. This issue brief describes how transforming the nation’s criminal justice system into one that distributes justice fairly and promotes rehabilitation would benefit families, communities, and the economy. This issue brief describes how creating an equitable pre-K through 12 educational system can benefit families, communities, and the economy. This issue brief describes how increasing access to high-quality and affordable elder care benefits families, communities, and the economy. This issue brief describes how connecting people to just and fair work benefits families, communities, and the economy. This issue brief describes the benefits of building an equitable food system for families, communities, and the economy. This issue brief describes how ensuring access to high-quality, affordable health care for all can benefit families, communities, and the economy. This issue brief describes the economic benefits of creating healthy environments for all—both through targeted strategies that improve the quality of neighborhood environments where low-income people of color live and work, and through larger-scale shifts toward a clean energy economy that does not rely on fossil fuels. This issue brief describes the economic and community benefits of ensuring every family can live in an affordable home. This issue brief describes how immigrant inclusion can benefit families, communities, and the economy. This issue brief describes the importance of ensuring the economic inclusion of LGBTQ (lesbian, gay, bisexual, transgender, queer/questioning) people. 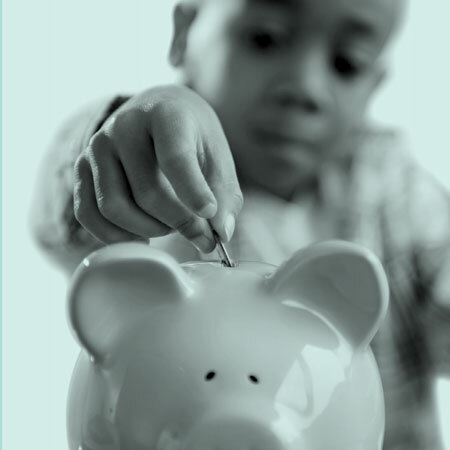 It is one of thirteen briefs -- produced with the the Marguerite Casey Foundation -- that describe key challenges and strategies to advance equity within the issue area; provide relevant data points and research findings on the economic benefits of equity; and share an inspiring example of a win-win solution for equity and the economy already being implemented. This issue brief describes how building an equitable transportation system benefits families, communities, and the economy. This issue brief describes how engaging youth benefits families, communities, and the economy. The Equitable Innovation Economies (EIE) pilot presented an opportune moment for LISC Indianapolis and Plan2020 to work collaboratively to reach the dual goals of embedding equity objectives in an emerging citywide policy framework, as well as in LISC’s industrial revitalization activities. PDC, Portland’s redevelopment, urban renewal, and economic development agency, has documented that change is coming — according to the National Equity Atlas, by 2040, 42 percent of the city’s population will be people of color. Recognizing the fact that Portland’s economic future is tied to growing the wealth of the city’s communities of color, he agency made equity and inclusion the central themes of its five-year strategic plan, adopted in 2015. The company has three founders of color who graduated from the Pratt Institute’s Industrial and Product Design programs in 2014 and 2015. The following year, Wear.works received an initial prototyping budget, access to mentorship and support, and other resources to launch their business as one of six fellows of the New York City Economic Development Corporation (NYCEDC)’s Next Top Makers program. With support from Citi Foundation, PolicyLink and the Promise Neighborhoods Institute at PolicyLink (PNI) joined forces with five PNI communities (Brooklyn, New York; Los Angeles, California; Chula Vista, California; Orlando, Florida; and Indianola, Mississippi) to design and carry out strategies for embedding financial security into their pipelines of supports. The collaborative effort set out to embed the concepts of budgeting, emergency savings, saving for college, credit access, into existing PNI programs. The goal was to enhance the overall outcomes of Promise Neighborhoods by empowering youth and their families to gain control over their financial lives and thus, their economic futures. This report documents the early lessons from each promise neighborhood site and highlights the importance of including a financial security strategy as an essential part of a cradle-to-career continuum. Anchor institutions, such as colleges and universities, hospitals and health-care facilities, utilities, faith-based organizations and museums have a role to play in driving economic growth. This brief is an introduction to developing and implementing an anchor strategy that can advance equity and economic inclusion in order to promote regional prosperity. It provides actionable recommendations for federal Economic Resilience and Sustainable Communities grantees and their broad range of regional partners. The Cape Fear region in North Carolina is experiencing a demographic transformation characterized by a diversifying younger population and a rapidly growing senior population that is predominantly White. To secure a thriving economy for the decades to come, the region must tap the economic potential of its growing young population. Building education and career pathways for all and ensuring young workers are prepared for the jobs of the future are key strategies for inclusive growth in the region. Download the summary. The Cape Fear region in North Carolina is experiencing a demographic transformation characterized by a diversifying younger population and a rapidly growing senior population that is predominantly White. To secure a thriving economy for the decades to come, the region must tap the economic potential of its growing young population. Building education and career pathways for all and ensuring young workers are prepared for the jobs of the future are key strategies for inclusive growth in the region. Download the full profile. The Research Triangle Region has a long tradition of growth and change, as its research universities and technologically sophisticated businesses have served markets and attracted people from across the United States and around the world. From the city cores of Raleigh and Durham to small towns and rural areas throughout the region, the communities that make up the Research Triangle have a common goal of seeing that all its people have pathways to success. Download the summary. The Research Triangle Region has a long tradition of growth and change, as its research universities and technologically sophisticated businesses have served markets and attracted people from across the United States and around the world. From the city cores of Raleigh and Durham to small towns and rural areas throughout the region, the communities that make up the Research Triangle have a common goal of seeing that all its people have pathways to success. Download the full profile.